Vivo has come out with a new mid-range phone with an under display fingerprint reader and a tiny round notch, I'm talking about the Vivo V11 and has just arrived so let's check it out. Inside the box we have a cardboard package and here it is a clear rubber case, some reading material and a SIM Key, next we have the phone itself looking good, beneath that we have a package with some earbuds, there's a microUSB cable a little bit behind on the times and we have a 20 watt bulk flash charger which should charge you up really fast. So now that we have the vivo v11 in our hands let's go over his key features. A beautiful built, the vivo V11 feels thin, curvy and pretty light the back is curved and the starry night color skin here is really cool, it's quite similar to the starry purple color from the oppo f 9 with a speckled star like texture. An AMOLED screen with a tiny notch, this style of notch looks like is getting pretty trendy it holds the selfie camera as well as the infrared facial scanner, while still remaining small and unobtrusive. The display itself is pretty large is tall and six point four inches with a 1080p resolution, content looks sharp with nice colors and of course there's those deep AMOLED blacks. A fingerprint reader under the screen, one of the key features of the flagship Vivo Nex S has made its way to the mid-range lineup, the screen has a glowing finger print icon so you know exactly what a press. It's quite cool and futuristic though it doesn't seem quite as fast or reliable as a traditional reader, once the novelty wears off you're better off switching to the infrared face unlock which works quite well even in the dark. 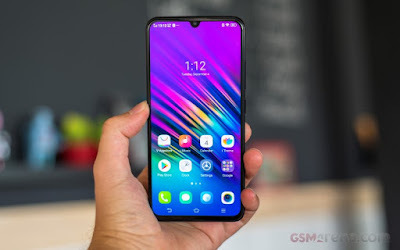 High-performance chipsets, the vivo v11 runs on a snapdragon 616 chipset one of the best you can find without going to flagship territory, with six gigs of ram everything runs clean and snappy so far and the chipset is quite power efficient too, with a thirty four hundred million power battery you shouldn't have a problem with battery life though we'll have to do some testing to be sure. 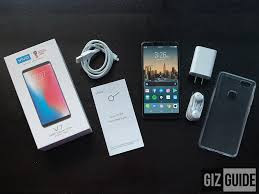 The AI driven cameras, the Vivo V11 as a dual camera set up and the camera processing is supposed to be improved their use of AI, the main cam is 12 megapixels and F1.8 and has built-in AI scene recognition. The secondary camera is just a deaf sensor here's a regular daylight sample for you to check out and here's one taken using the AI backlight HDR, well light photography is supported by AI as well, while have an in-depth analysis of the camera quality in our full review. Selfies are taken with a twenty five megapixel F2.0 front-facing camera and you can take selfie portraits too. So there you have it guys, it's nice to see so many futuristic features on a mid-range device but what do you think about this fingerprint scan let us know down in the comments as well as any questions you have about the V 11 we'll try to answer them in our for review coming soon.